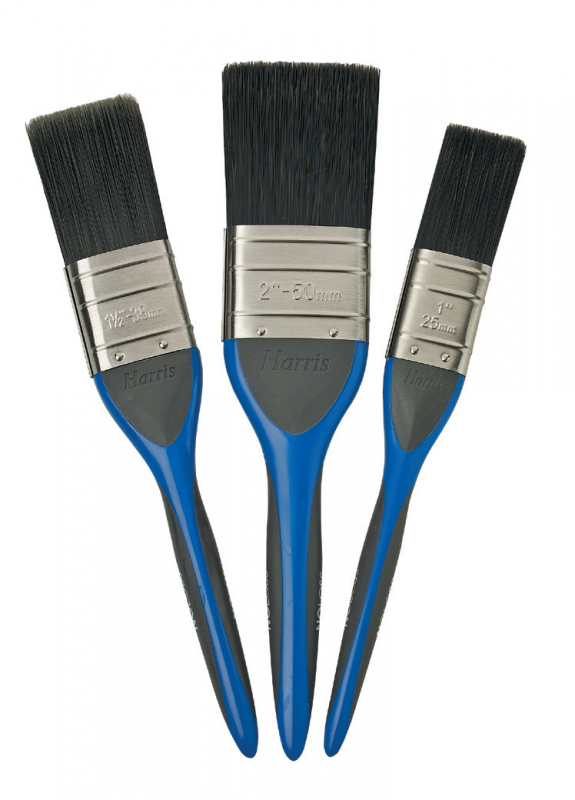 Harris no loss brushes, Guaranteed no bristle loss. > Used for all paints. Effortless, improved synthetic filaments for better paint pick up and an exceptional finish with all paints. Comfortable, ergonomic, dual material handle for comfort and accuracy. Guaranteed, dual lengths of filament are deep set resulting in guaranteed no loss of bristle, clean in accordance with paint manufacturer’s instructions.